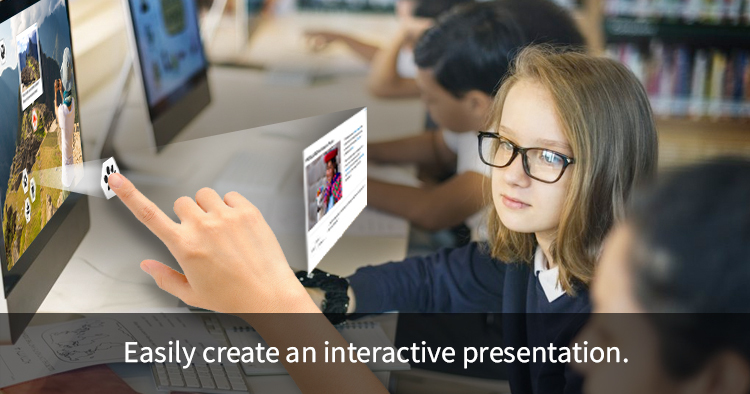 Create your own interactive presentation! 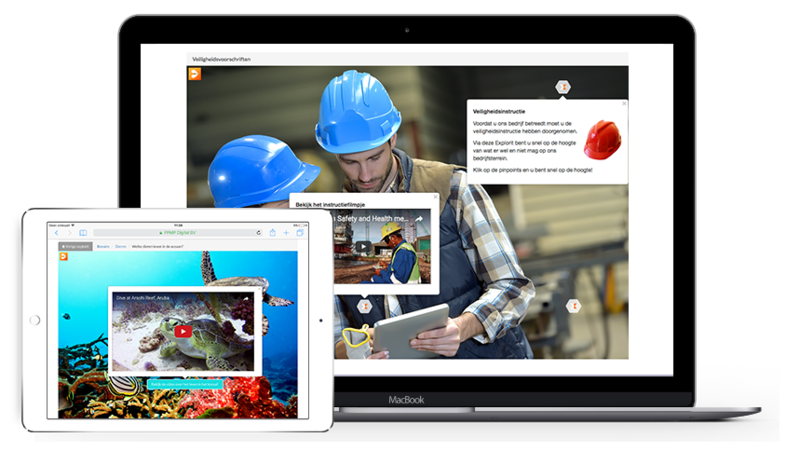 Through the handy Explorit tool you can easily provide photos or videos with in-depth information. Creating an interactive presentation, interactive infographic or explaining a process or product is very easy. You don’t have to be a web developer or IT specialist to create the Explorits. Just load the image or video and create buttons and pop-ups wherever you want. A big advantage of our tool is that you can connect the different Explorits to each other! 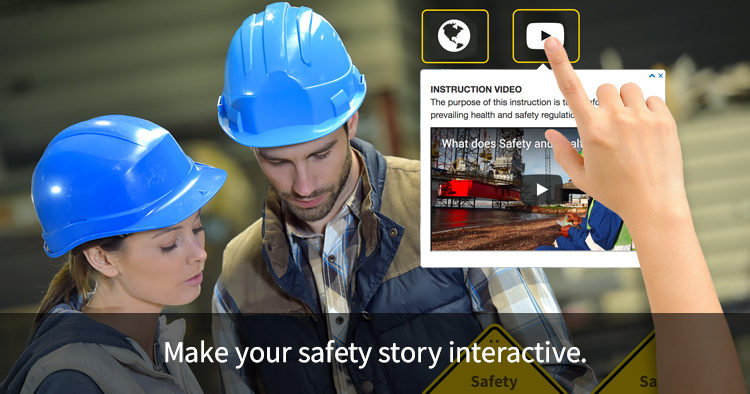 Explorit is the tool to easily explain processes, safety regulations or other complex content. 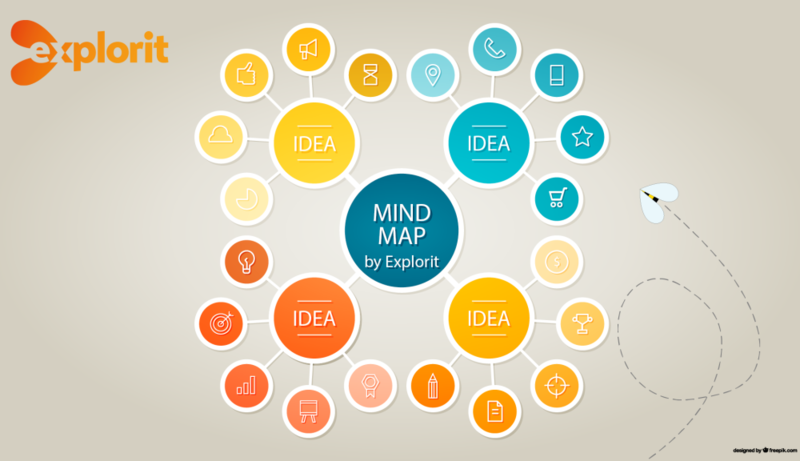 Explain your product or services by connecting several Explorits together (create a chain). Simultaneously develop yourself and make stories interactive? Explorit is the smart tool for this! Tell your story about your product, instruction or other subject in a simple and understandable way! On every Explorit (image or video) you van put pinpoints. Clickable buttons which will show pop-ups with content. 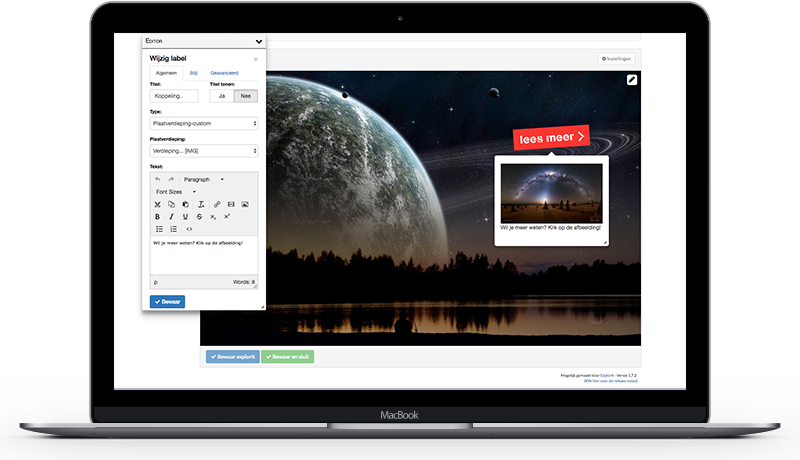 You can easily embed all kinds of content like video, images, text or any embedded/shared content (like Google Maps, Google Streetview, SoundCloud and so on). Explorit uses content that exists on internet. You don’t copy images or shared content: you embed it. Just put the URL or EMBEDDED code in the editor and it will load and show the content. 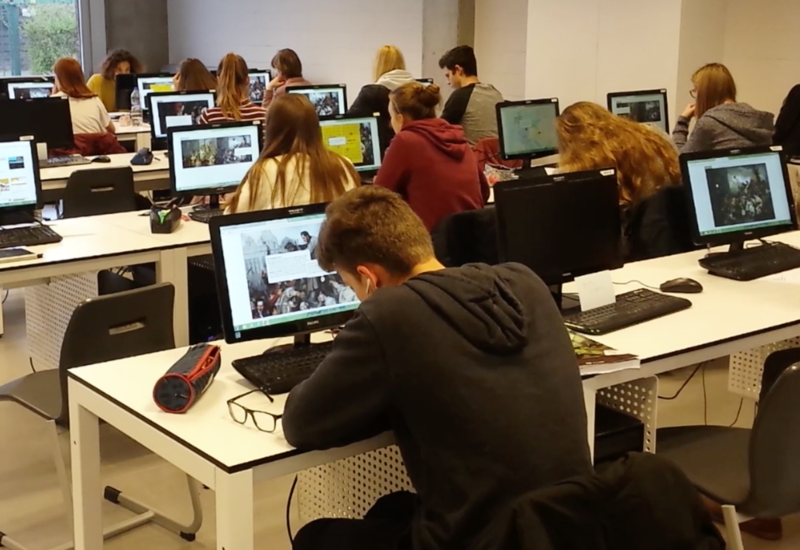 In the Explorit application you can create several Explorits (images or videos with pinpoints) and connect them! You can offer your audience choices so they can click/follow the information they like! 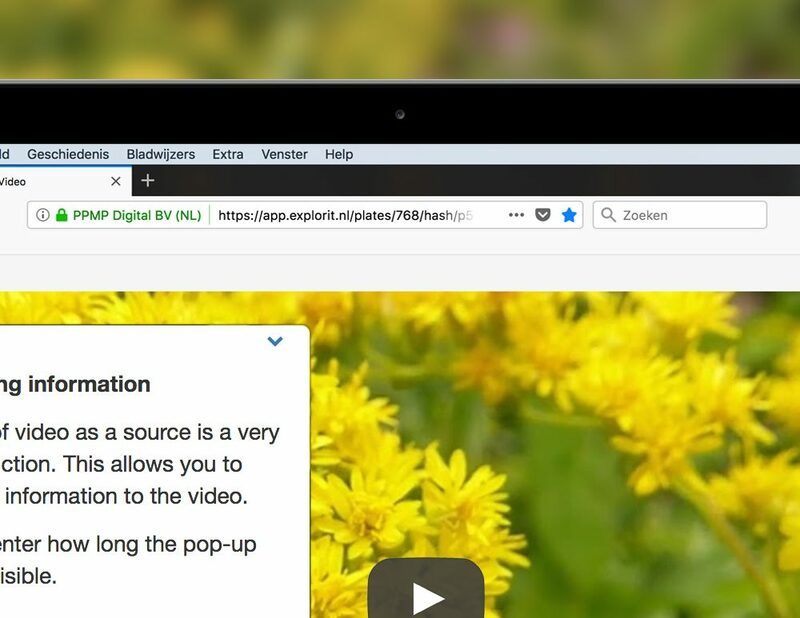 Once you’ve created an Explorit you can either share it by creating a link and share it via mail or any other media, or you can download embed code so you can show the Explorit on your own website (or Content Management System). Once you have selected the base image (or video) you can design your own pinpoints/buttons. You can use text, use icons or your own designed buttons (or company branding) within Explorit. Storytelling: Click it, explore it, learn. Messages about the development of our tool, market development and user experiences! A smart tool to make everyone smarter! 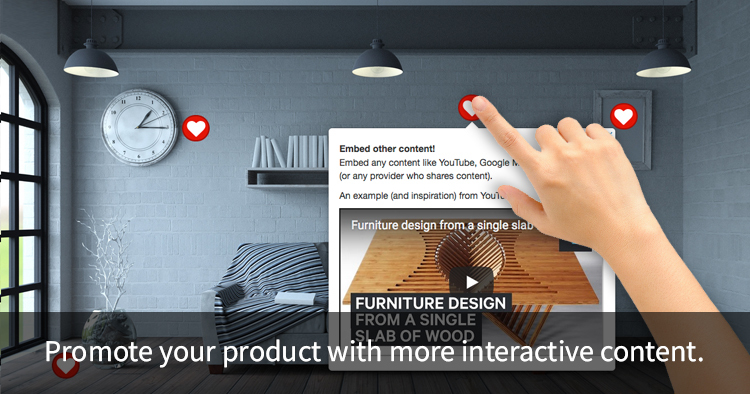 Enrich your story with interactive content. Our developers have done everything to make it as simple as possible, resulting in a easy-to-use tool to let you create your interactive story. You can share this story with everyone you like! By presenting it in an interactive way the viewer interacts with the content. The content is now really transferred, recorded and the ultimate goal is achieved: the viewer understands your message! A smart tool to make everyone smarter!